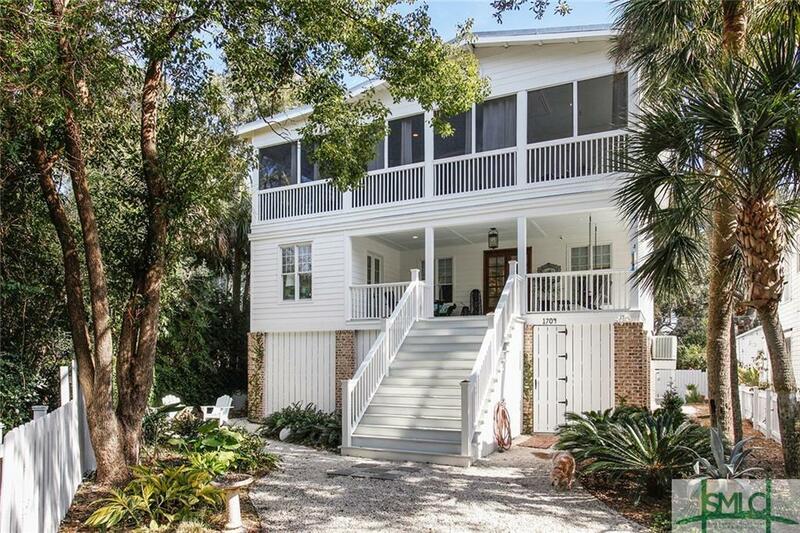 Enjoy Tybee Island living at it's best. This is a rare opportunity to move in and start enjoying the Beach because all the work has been done for you. Lush,secluded private location, this custom built home has easy access to all Tybee Island beach amenities and to Back River. Features include elevator, high ceilings, antique heart pine floors, newer HVAC, metal roof, large screened porch, bunk room, central vacuum, 6 car garage, fenced yard and much more. Abundant parking and storage under home and room for those Beach bikes and kayaks. Plenty of off street parking. Year round Coastal living or fantastic rental potential. This is your opportunity to start enjoying life at Tybee.